This post is sponsored by iHerb.com, all opinions are mine. 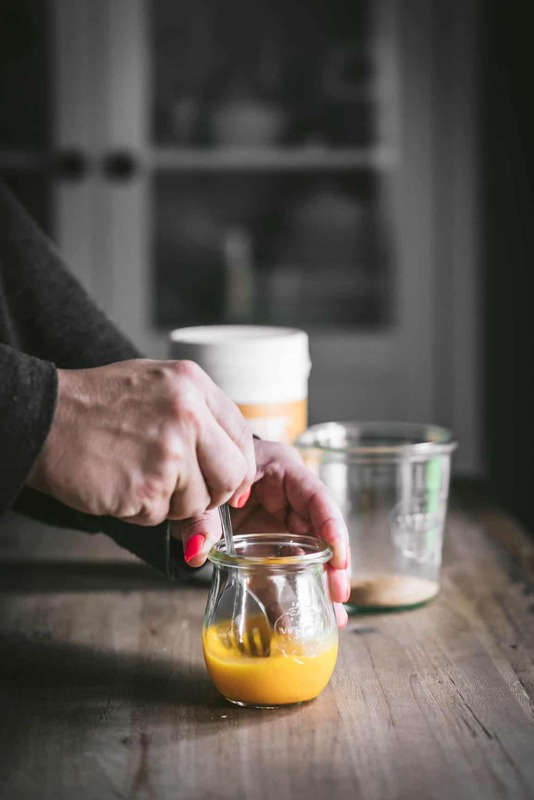 Life is hectic, but with my 1 Minute Keto Egg Drop Cup-of-Soup made with Bone Broth, you’ll always have a quick and healthy meal, even on the go! 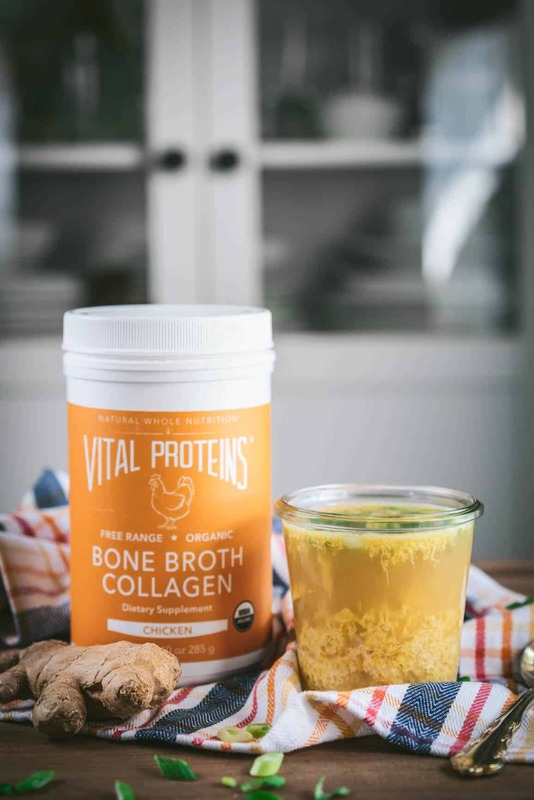 I’m going to go ahead and address the elephant in the room, for those of you whom are new to the importance of real food and importance of collagen proteins… Why Bone Broth and not chicken bullion? Well, that’s so easy. 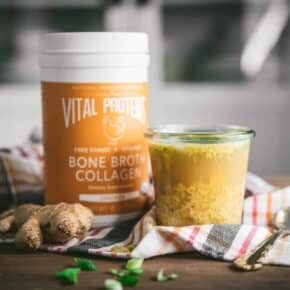 Most commercially made bullion is simply flavored, chemically enhanced powders that simply flavor water to taste like broth where as Vital’s Proteins’ Bone Broth Collagen is crafted with bones from naturally raised animals and is simmered slowly to extract the maximum amount of nutrients. 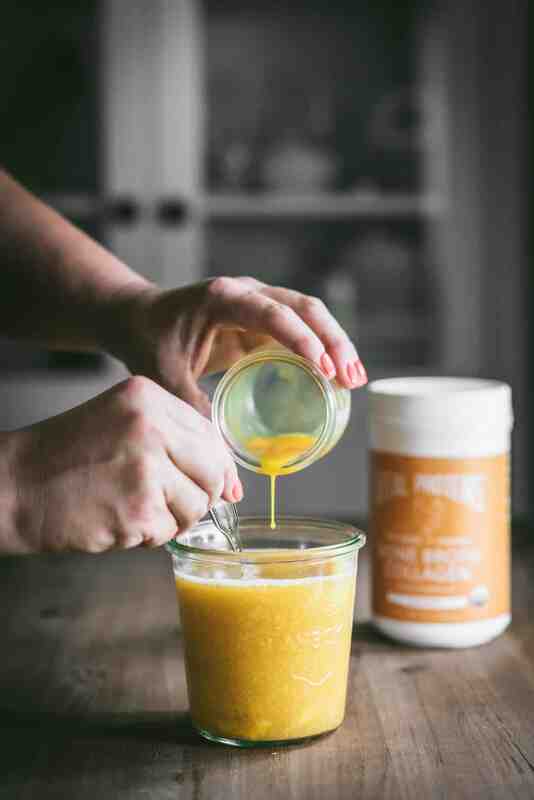 The result is a pure, nourishing broth that is packed with collagen and other vital nutrients. 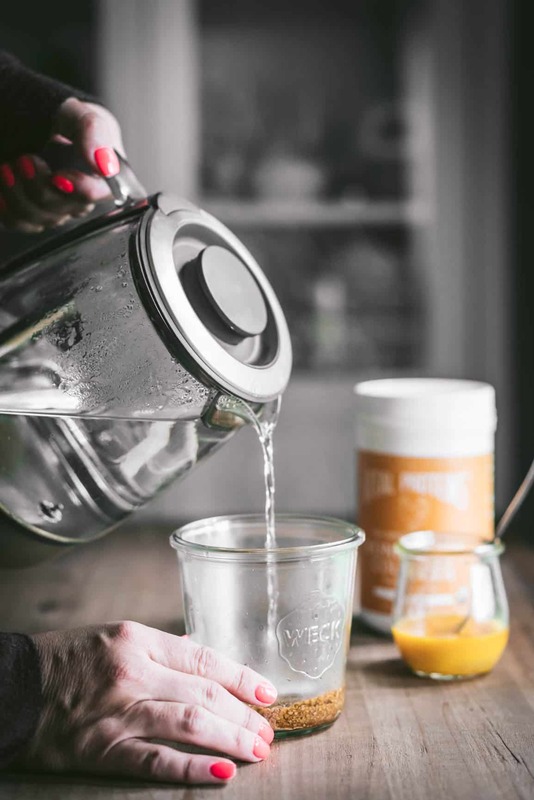 With its neutral taste, it’s convenient to use and mixes well in water, savory beverages, and your favorite recipes. 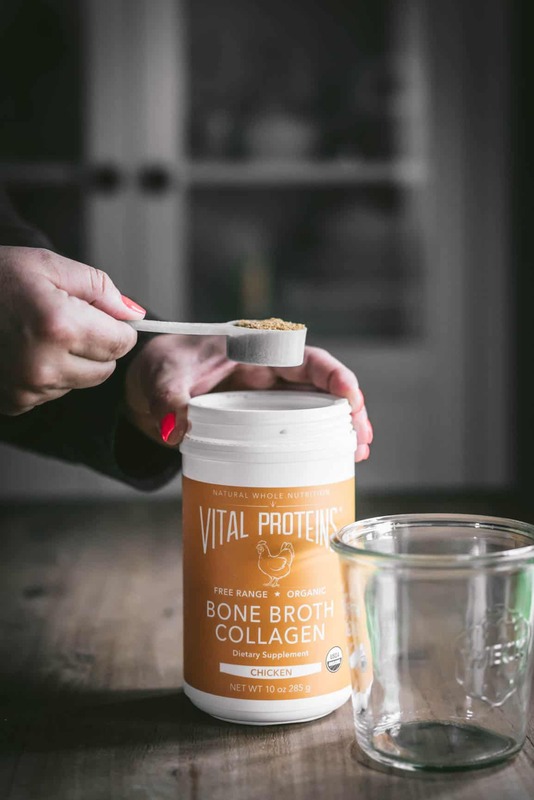 Vital Proteins nourishing bone broth collagen aids in digestion, supports the immune system, and helps promote overall health. 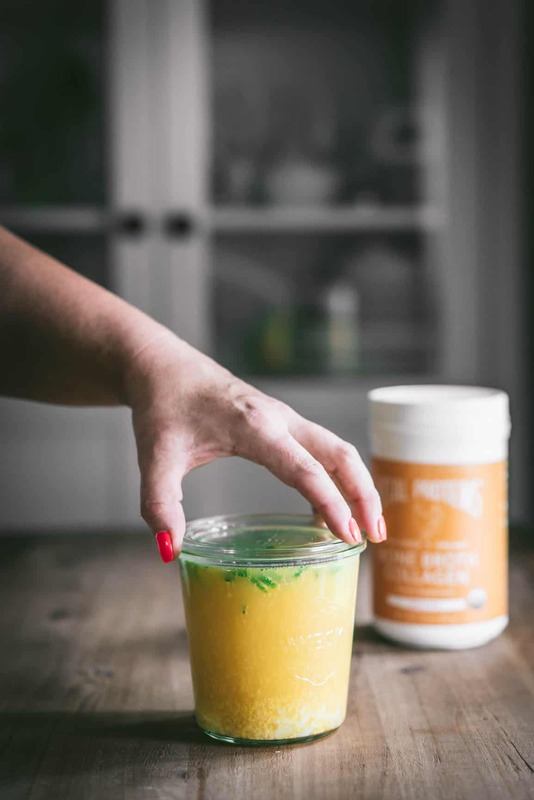 Eating a diet rich in whole-food based nutrition containing collagen is beneficial for looking and feeling your best. 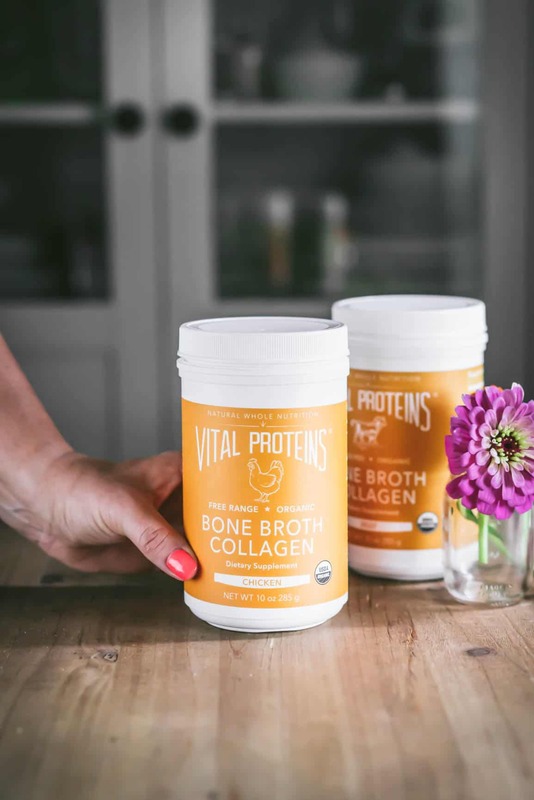 My regular consumption of bone broth and supplementing with collagen is one of the biggest factors in keeping my youthful appearance at 41 (I’m often confused for being in my 20s!). 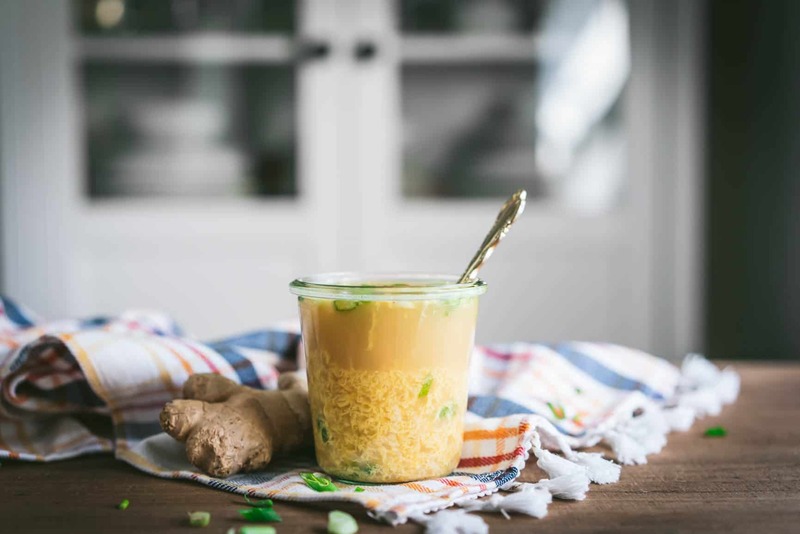 My 1 Minute Keto Egg Drop Cup-of-Soup made with Bone Broth can be made with either flavor, but I prefer the Chicken for a more authentic Chinese Restaurant taste. 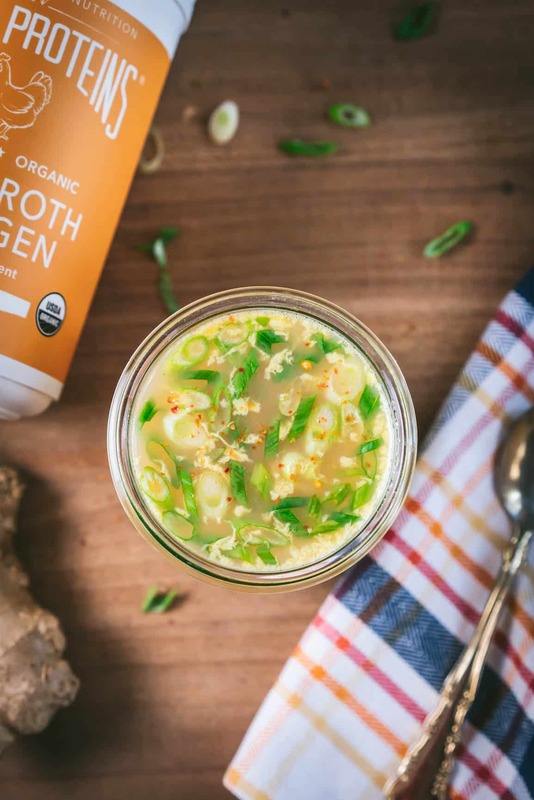 For each cup of soup you’re making you’ll need 1 egg and 1 scoop of bone broth collagen..
Add a generous pinch of sea salt and sliced green onions. Fresh ginger and a pinch of crushed pepper are great additions too! 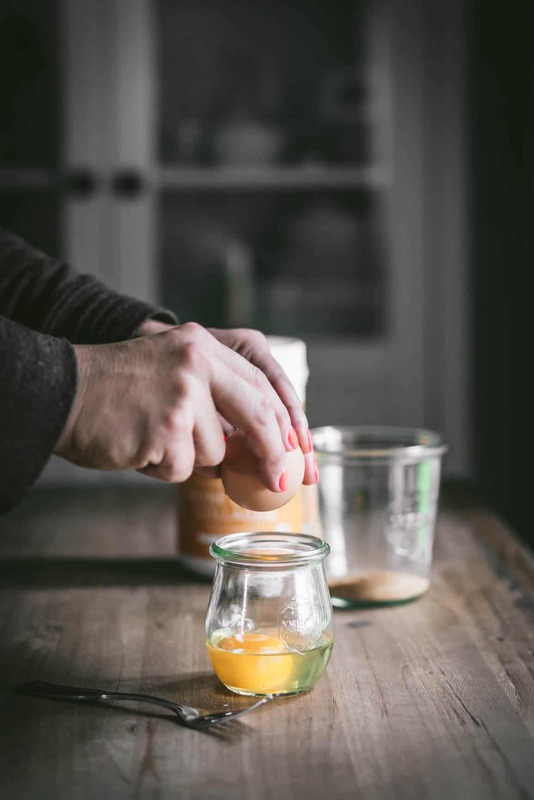 Cover your soup with a lid and let sit for 1 minute for the egg to cook. That’s it! Pretty cool, Huh?? And you’re going to be WOWed at how amazingly delicious this 1 minute super-healthy soup is! 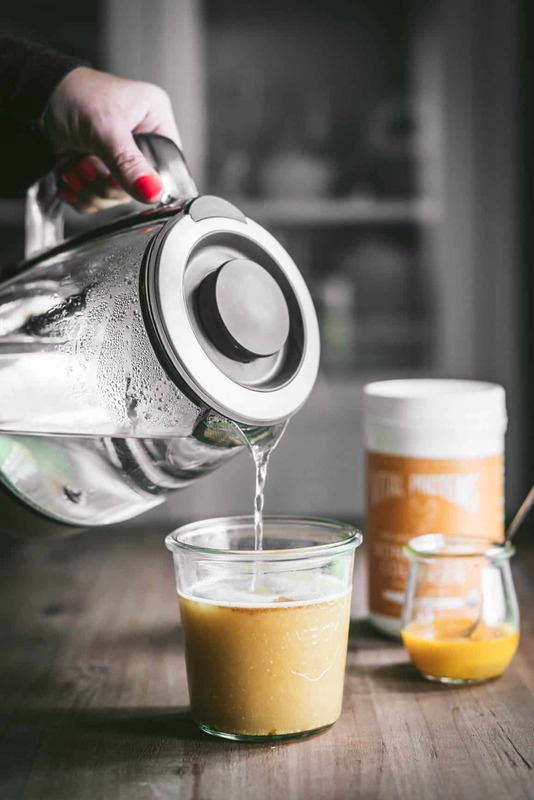 Let’s face it, eating healthy is sometimes a hassle to find all the specially products that you need to stock your healthy pantry. This is where iHerb comes in! 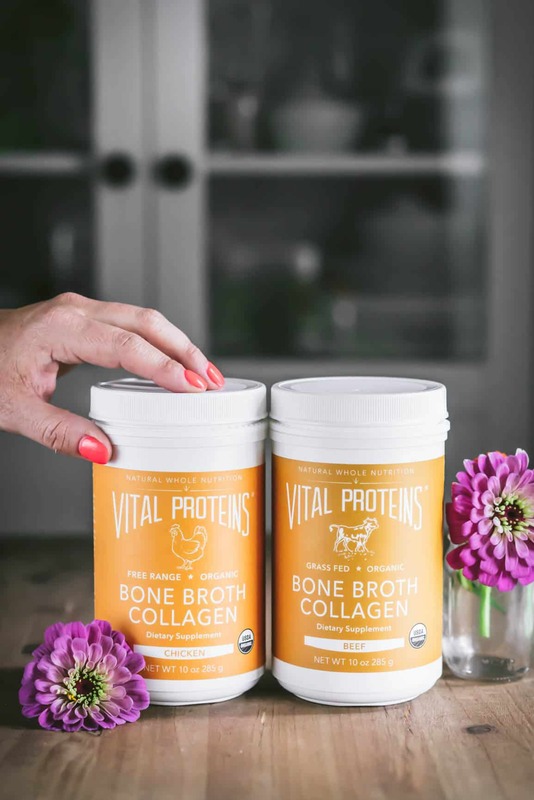 Notonly do they carry Vital Proteins Bone Broth Collagen, they a carry over 1,200 brands and 30,000 brand name products that you may also find at health food stores and natural pharmacies but with one important difference: Theirprices are typically 30 – 50% less! 10% loyalty credit: You earn loyalty credit for every order you place at iHerb! Loyalty credit is equal to 10% of the value of your order after discounts and credits applied, excluding shipping charges. Free or discounted shipping: For US customers make sure your order total is $20 ($20 USD ) or more, to take advantage of their free or deeply discounted shipping rates. 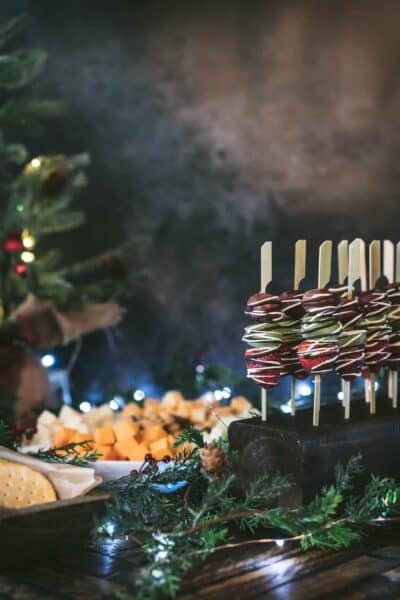 5-10% quantity discounts: On many different brand name products, you can get an extra 5-10% quantity discount when you order 2 or more units of the same product! 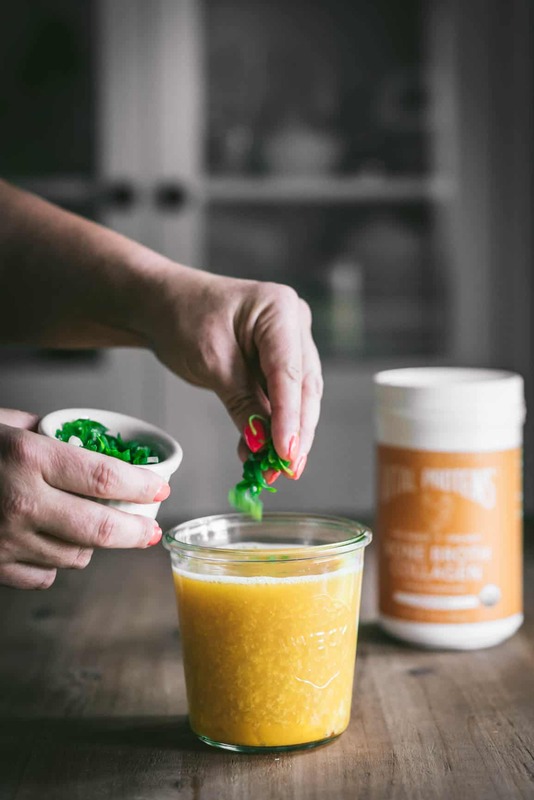 Sale Prices: Even though their regular retail prices are typically less than your local health food store, they still offer amazing sales every week! 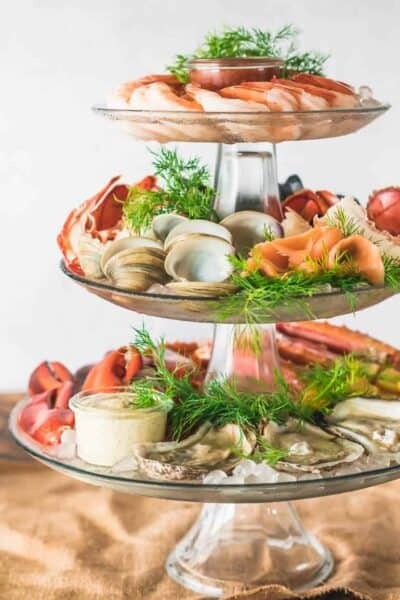 Rewards Program: Give your rewards code to others to type in at checkout for an instant 5% additional discount.And you will accumulate 5% credit rewards credit for every order they place. Every month, more than 50,000 iHerb customers get either full or partial credit on their orders! CLICK HERE to shop iHerb and start saving money today! 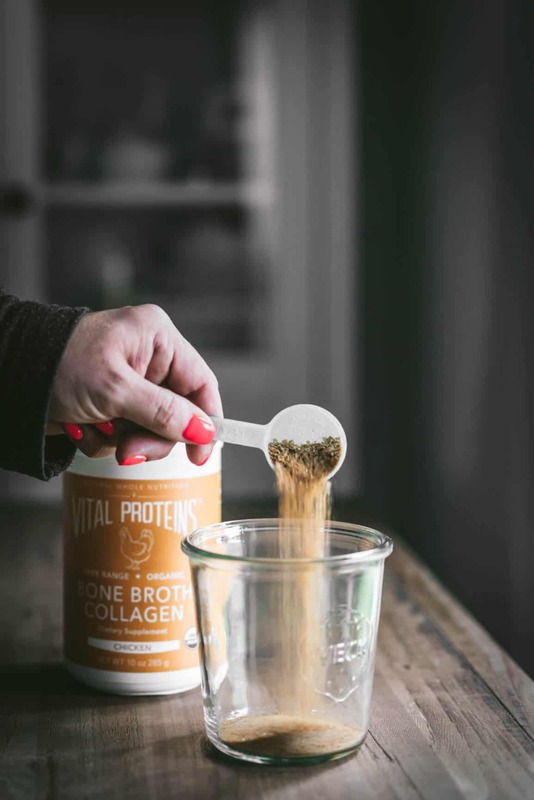 Place bone broth collagen in a jar, add water. Slowly drizzle beaten egg into the hot broth, gently stirring. 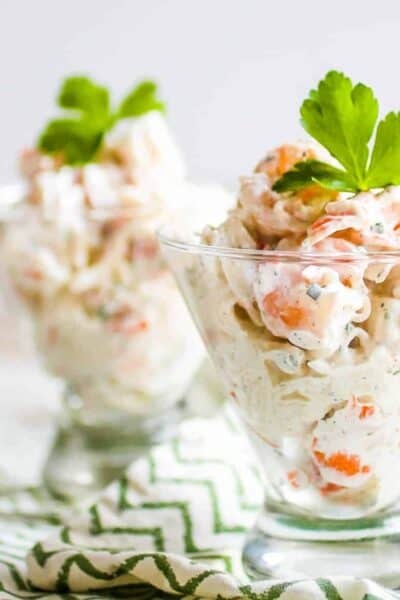 If you like this recipe, please save it to Pinterest to help others find it more easily! 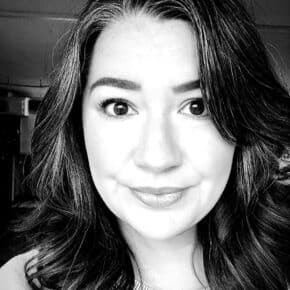 (I’m often confused for being in my 20s!) Your delusional vanity is astounding. No one,no, really, no one, would ever think those hands were in their 20s. Alyssa faison aka “Slugbag1” (not be rude, that’s literally her email address: slutbag1@gmail.com) thanks for your extremely rude comment. Thanks for keeping internet bullying going strong, you are sincerely an embodiment of how horrible people can be. 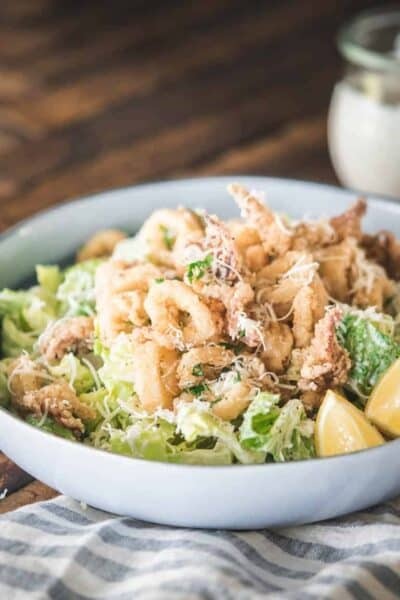 Just an FYI my food photos are edited for clarity and that can make skin look harsher than it is in reality.. but let’s say I smoothed them out during post processing, you’d call me out for editing my skin! 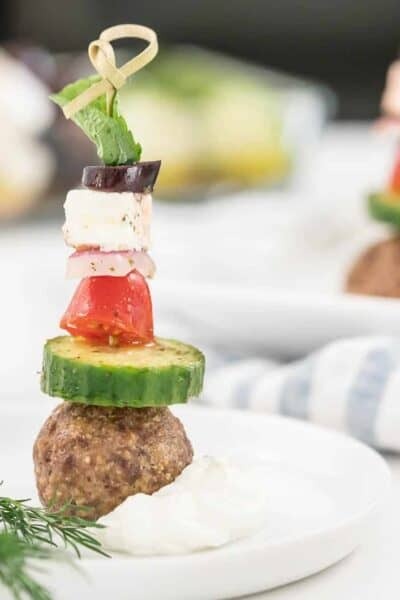 Thank you for posting such yummy and fool proof recipes. Thanks so much! I honestly dread reading comments because people are so unbelievably rude and hurtful. I appreciate your kind words so much!